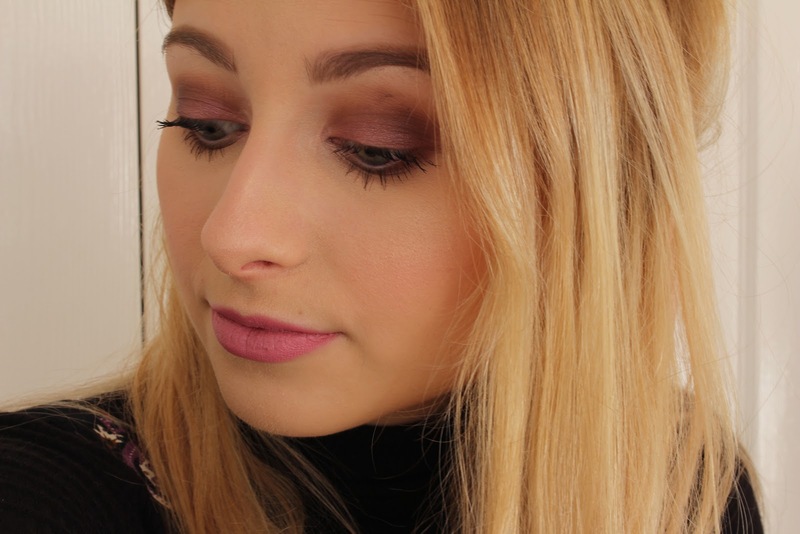 I absolutely love the Spring time for creating fun and slightly colourful makeup looks! 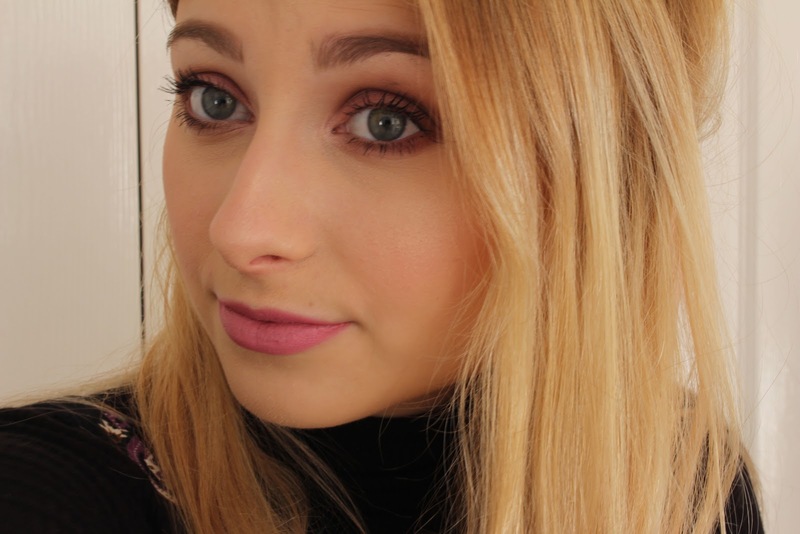 I decided to share this look with you guys today because I'm starting to upload to YouTube again - which I love! I don't want to babble too much so I'll just get on with how I got this look! Firstly, I used my Smashbox Colour Corrector Primer just to even out the colour of my base as I suffer with a little bit of redness on and around my nose area and also sometimes on my cheeks. I then primed my eyes with the Urban Decay Eyeshadow Primer Potion - Original and set that with the Anastasia Beverly Hills Banana Contour Powder using the Real Techniques Setting Brush. I went ahead and used both Buck and Naked from the Urban Decay Naked Eyeshadow Palette as the transition shades in my crease. To further define the crease I took my BH Cosmetics Carli Bybel Eyeshadow and Highlight Palette and used the two mauve-y/maroon shades. I then took my Benefit Hello Flawless Liquid Foundation and applied this using my Sigma Flat Kabuki Brush (F80) - this brush is amazing and I love it. To conceal and brighten my eye area, I used the Collection Lasting Perfection Concealer and blended this in using my Zoeva 142 Concealer Buffer Brush. I then set my eye area using the ABH Banana Powder and the RT Setting Brush - just like I did before when priming my eyes. When setting the rest of my face to keep my foundation in place and ensure that I looked matte, I took my Benefit Hello Flawless Powder Foundation with my Zoeva 106 Powder Brush. Yay! Now time to contour using my Benefit Hoola Bronzer with my Zoeva 110 Face Shape Brush (and also a cheap blush brush, I have no idea where it is from though!). To make this look a little more 'Spring' appropriate, I used theBalm FratBoy Shadow Blush to add a nice flush of colour to my cheeks using my Sigma F40 Large Angled Contour Brush. Eyebrows! I always use the Anastasia Beverly Hills Brow Wiz to fill in and shape my brows and I love it. I then set them with the Benefit Gimmie Brow Eyebrow Gel. Then I took theBalm Mary-Lou-Manizer Luminizer and applied this to my cheekbones, cupid's bow, down the bridge of my nose, on my eyebrow bone and in the inner corners of my eyes to highlight/brighten - I love highlighter so much and my makeup routine will never not include a good bit of highlighting!! After this, I used the UD Naked Palette again and applied a mixture of both Buck and Naked to my lower lash line. I then went ahead and used the BHCosmetics Carli Bybel Palette again and applied a mixture of the two mauve-y/maroon/purple shades and blended these two on my lower lash line using my Sigma E30 Pencil Brush. Now for mascara! Using my trusty Benefit Rollerlash that I absolutely love and I cannot sing it's praises enough, it's honestly the best mascara I've ever tried and trust me, I've tried many.. I apply this to both my top and lower lashes and I also curl my top lashes with The Vintage Cosmetics Company Rose Gold Eyelash Curler. Lastly, the perfect pink lips! 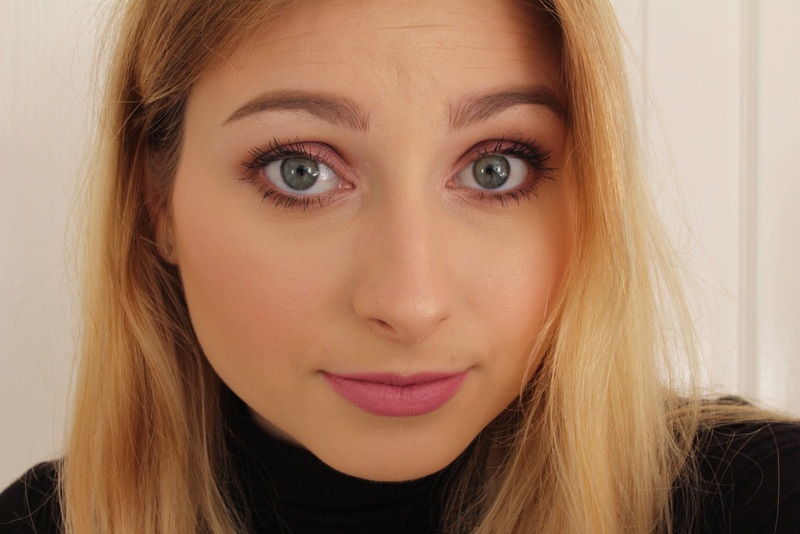 I love this combo so much and I definitely reckon that I will do a separate blog post all about this perfect combination, but for now I used the MAC Hip 'n' Happy Lip Pencil paired with the MAC Pink Plaid Lipstick to get this pretty girly lip. God, you are so pretty! your makeup is FLAWLESS! I love this look so much! It is absolutely perfect for spring, which I am so ready for. Even though I am staring out at piles and piles of growing snow... at least this look can make me feel like it's spring! Beautiful look, really into these spring vibes lately <3 I love the lip color!